The Maynard High School Marching Band is in a parade on Great Road by Alumni Field. 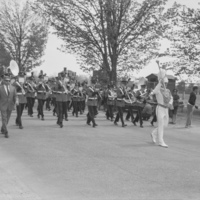 Music Director Charles Garabedian is marching with the band (on the left). 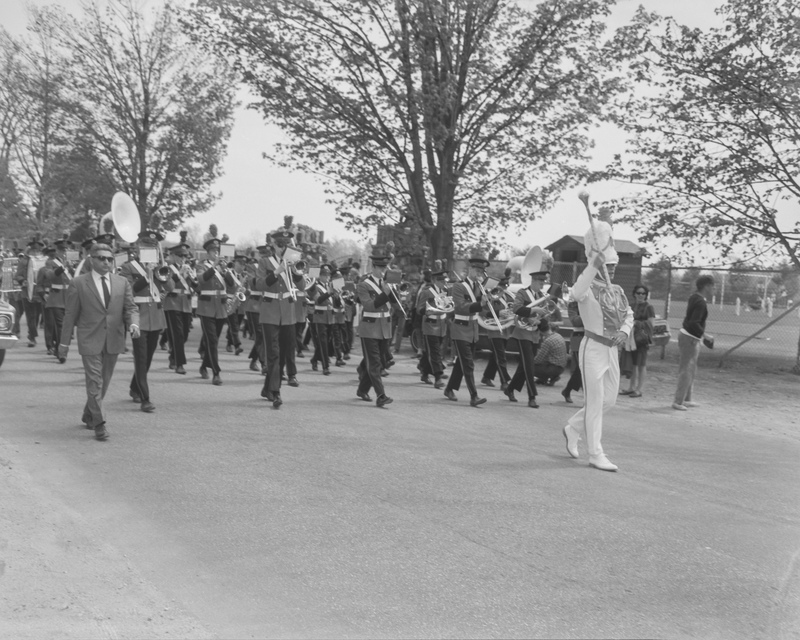 Oliver (Swat) Warila, “Maynard High School Marching Band on parade,” Maynard Historical Society Archives, accessed April 23, 2019, http://collection.maynardhistory.org/items/show/4666.